Paperback - The Ghost City of San Luis Island depicts the important role of a small island to the origin of Texas, as well as the power of hurricanes and how that power affects this very fragile barrier island. Collections of maps show San Luis both as an island and not an island through the many openings and closings of Little Pass. Stephen F. Austin’s Grant bequeathed to him by his father Moses for Colonization, included this paradise known as San Luis Island. Based on historical events from the 1500s to the present, The Ghost City of San Luis Island demonstrates the strength and hardships of building an early American city during the 1840s on San Luis Island in Brazoria County, Texas. 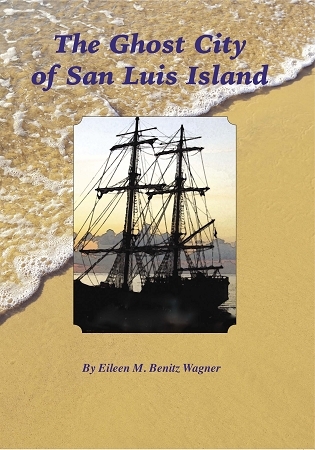 It provides an in-depth look at the City of San Luis and its population of 2,000 people through actual newspaper clippings, advertisements, maps, documents and narrative collections along with several rare photos that have never been made available to the public before. Eyewitness accounts of surviving forty and fifty foot high waves on the West End of Galveston Island during the 1900 Hurricane at San Luis Pass.Even today, San Luis bears hardships from the wrath of Hurricane IKE (September 13, 2008), Two months after the hurricane, it is nearly isolated from the mainland, has no electricity and no drinking water and no road to get there. Will the Resort Community of Treasure Island find the strength to rebuild this little paradise on the Gulf Coast of Texas? If history tells us anything, the perseverance and can-do attitude of the inhabitants, say yes they will rebuild.